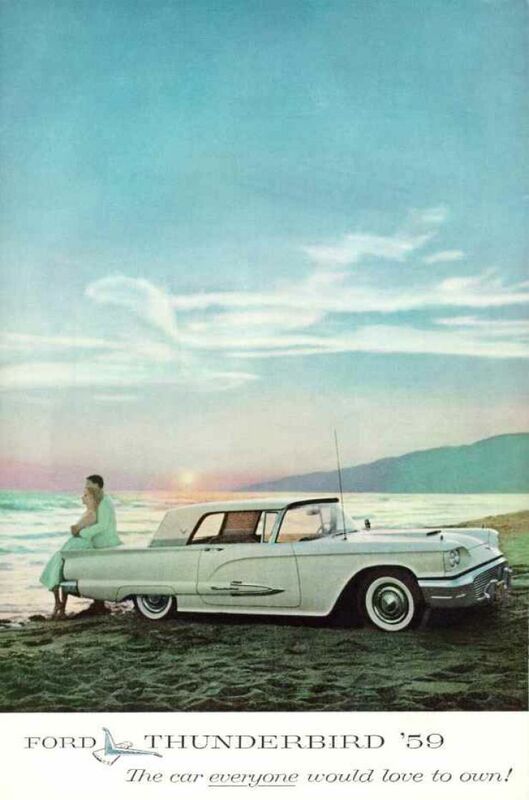 The 1960 Thunderbird was a personal luxury car that represented class, style and the american dream. This second generation Thunderbird has all of the creature comforts that some modern cars today don't even have! This particular Thunderbird is optioned out and includes; power windows, front power seats, sun roof, power steering and brakes, in-console speaker, premium radio, and comfortable bucket seats. Sitting in this car is a true time machine back to 1960 when cars had elegance and uniqueness. The entire car is completely original all the way up to the radio and climate control system. The teal interior compliments the Aqua Marine body very nicely. With bold looks, sunroof and smooth running 352 motor, this Thunderbird will be a head turner anywhere you take it. Come see this car in our showroom and get a taste of what 1960 was all about. The second generation Ford Thunderbird was produced by Ford for the 1958 to 1960 model years as a successor to the popular 1955-1957 two-seater. In response to Ford-conducted surveys two major changes were made to attract potential buyers: two rear seats were added and the level of luxury and features of a full-sized car were incorporated into a mid-size platform. As a result, sales soared and the new model dramatically expanded the personal luxury car market, winning the Motor Trend Car of the Year in 1958. Over 200,000 units were produced in its three-year model run, quadruple that of the two-seater in its three-year span. Along with the 1958 Lincolns, the 1958 Thunderbird was the first Ford Motor Company vehicle designed with unibody construction.